“Suit & Tie,” Justin Timberlake’s long-awaited comeback single, is already proving to be quite popular. According to Billboard, the single is on track to sell between 330,000 and 350,000 downloads in its first week. 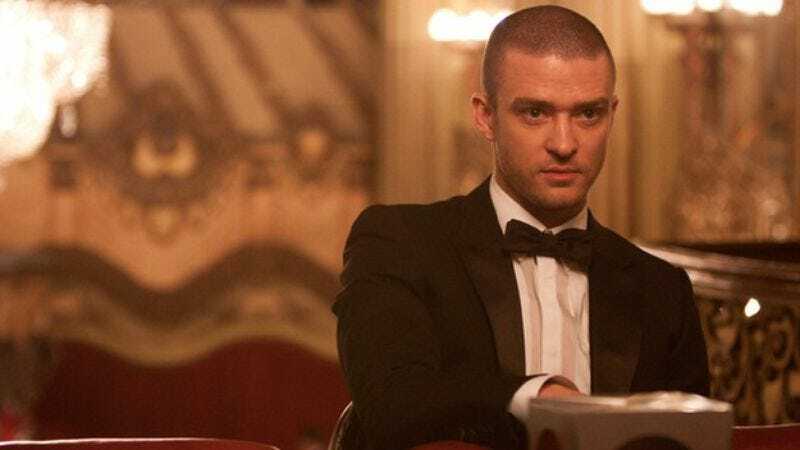 Comparatively, Timberlake’s last big single, 2006’s “SexyBack,” sold just 250,000 copies in its first week, though that was back in the days before iPhones and immediate downloads were the norm. Billboard further notes that only seven other songs have broken 300,000 sales in their first week over the course of the past year. The biggest smash of those was Taylor Swift’s “We Are Never Ever Getting Back Together,” selling 623,000 copies the week of its debut, while Justin Bieber’s “Boyfriend” sold 521,000 copies before that. The article suggests that Timberlake's slightly more sluggish sales could be attributed to the fact that his fan base is older now, and thus not used to using newfangled things like the Internet and iTunes. Timberlake’s new album, The 20/20 Experience, will be released via RCA Records later this year.